The international exhibition of armament KADEX-2018 Russian company Techmash will present 80 mm caliber S-8 OFP “Bronoboishik” unguided missile of a new generation. 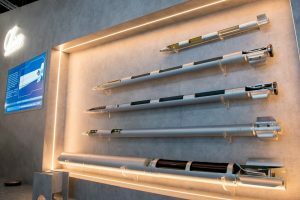 Specialists of the group “Tehmash”, part of Rostec Corporation, said that among the innovative weapons systems, which will be presented at KADEX 2018, will also present a sample missile “anti-tank”. According to experts, unguided projectile S-8 OFP will have a high-explosive core-penetrating portion, and caliber is 80 mm. Representatives of the group noted that light armor were created for the elimination of both group and single targets of the enemy who is under cover or in open spaces. This shell can also be used to destroy the enemy fleet at any time and under any weather conditions.